With the help of Russian violinist Sergei Erdenko, among others, the Holocaust now has a musical history. A stunning new album of lost Yiddish songs has been released this week, giving us the chance to witness the final thoughts and fears of Jewish World War II escapees in musical form. Originally confiscated by Stalin’s government and kept hidden for decades, these newfound songs challenge our ideas about the Jewish resistance and shed new light on the heartbreak suffered by Holocaust victims. Six Degrees Records’ new release Yiddish Glory: The Lost Songs of World War II pays homage to the Jewish victims of Nazi-occupied Soviet territory in the early 1940s. In collaboration with the University of Toronto, Russian-Roma violinist (and longtime collaborator of Yehudi Menuhin) Sergei Erdenko gathered a group of Jewish musicians from Russia and Canada to perform the newfound songs of eastward-moving Holocaust escapees. Among the credited songwriters are Jewish Red Army soldiers, refugees, and even a 10-year old orphan, some of whom wrote their ballads on the train while leaving German-occupied territory. because the German murderers will be out of our lives forever. According to records, Stalin initially held the researchers who compiled the songs in high acclaim and, in a show of solidarity with Soviet Jews, had planned to release the album in the aftermath of the war. However, in spite of the deference shown to Stalin in the songs, the postwar anti-Semitic wave that hit the USSR led to the researchers’ imprisonment. As a result, their life’s work was boxed up and hidden for decades. 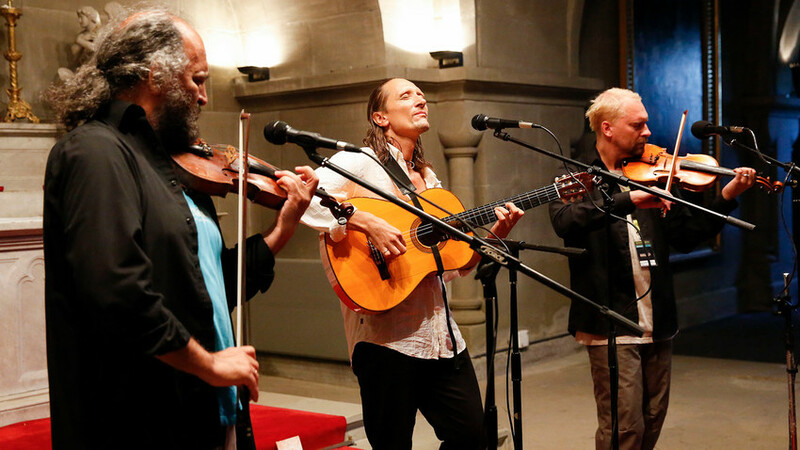 Calling on the assistance of Sergei Erdenko, the pair assembled an all-star cast of Jewish performers to do justice to the songs and their history. The collective includes legendary singer-songwriter Psoy Korolenko, former Leningrad Conservatory concertmaster Artur Gorbenko, renowned jazz vocalist Sophie Miller, and many others. No longer silenced by the legacies of Hitler and Stalin, the songs remind us of how Holocaust victims did everything they could to save their families. Following a meticulous three-year recording process, Yiddish Glory: The Lost Songs of World War II was released on February 23 (Russia’s Protector of the Fatherland Day, celebrating military service).